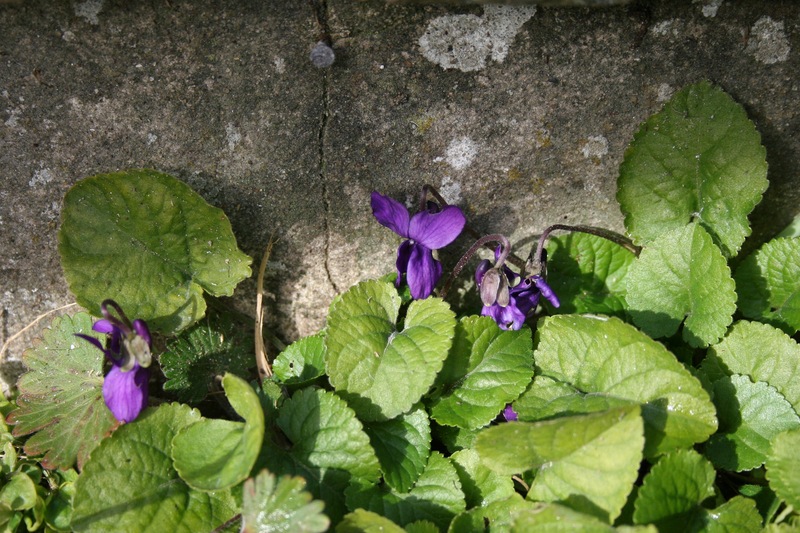 Violets under the front step. 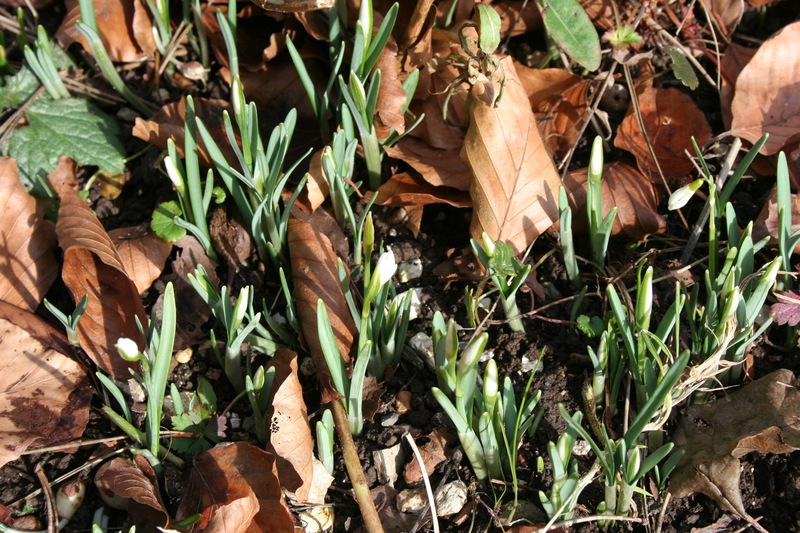 Snowdrops are starting to unfurl. They’ll be peaking in a couple of weeks. This is a very fine and hardy borage plant, sitting bolt upright in our veg patch. Frost? Pah. One There’s a definite whisper of spring in the air, a tiny hint, a minuscule glimmer – it’s warmer than it has been; warm enough to go outside to take some photos without wearing a big winter coat, hat, scarf, mittens… There are bulb shoots and buds galore and the birds are starting to get busy. February 1st was St Brigid’s Day, or Imbolc, and marks the start of the pagan festival of spring. I only know this because I read it on Sultanabun’s blog last year and looked it up. Her blog regularly makes me laugh out loud and I learn stuff, properly interesting stuff. Two February is punctuated by half term – a week off from the regular routine. There’s one more week of school and then the children will be at home all day ‘resting’. It doesn’t seem five minutes since they went back to school after the Christmas holidays. My middle son has made it through this week of school (early nights, no sports) and is hopefully fully on the mend but it’ll be good for him to have more time to recharge soon. Three I went out last night for pizza, prosecco and pudding with friends. The friend who hosted the evening is an extremely Good Cook and produced a succession of delicious handmade pizzas while we all guzzled prosecco spiked with raspberry liqueur, chatted and laughed. The whole evening was a tonic and just what I needed. Four ‘You’ve got to pick a pocket or two…’ – we’ve been treated to renditions from ‘Oliver’ for weeks and weeks now. They are such ear-worms catchy tunes. My daughter is an orphan and an urchin in her school’s production. There have been two performances so far, we’re all going to see it this evening, and there’s a matinee and evening performance tomorrow. She’s loving every minute of it but I suspect she’ll be much quieter come Sunday. I’m delighted to be joining in with Amy for her Five on Friday. Good looking wood pile. Today has really felt as though spring might not be too far away. I’ve lost count of the photos I’ve taken and then looking at them realise the unholy mess in view. Thank goodness for digital photos and the ability to crop and edit. It was a delight to read your five. Oh dear, I just looked at my windows…yuck. You have me singing Oliver songs now. Hope your kids stay healthy and the production goes well. Have a lovely weekend. 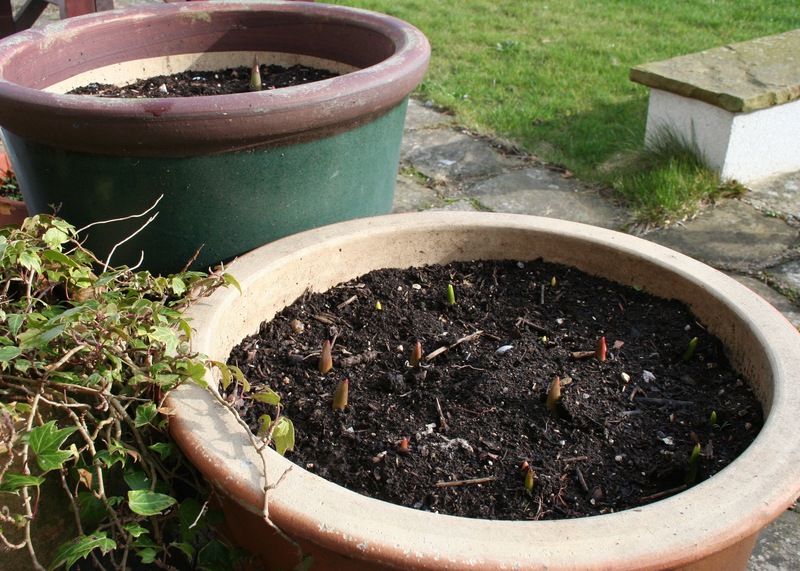 Wonderful photos and it is so good to see bulbs poking through the soil and snowdrops unfurling. Had to laugh about the windows, I had thought a photo of a pot of daffodils against the kitchen blinds would look good until I realised they were covered in splashes from the sink! Good to know others have those moments too. Your house should be lovely, warm and cosy for the rest of the winter, Sam. So pleased to see a glimmer of Spring, wonderful. It can’t be half term already, where has the time gone. I like photos of woodpiles. I took lots of ours when we had a wood burning fireplace. Now it’s gas and much more convenient, but less attractive. Sounds like you had a great time with your friends on girls’ night. Have a good weekend. Enjoyed your Five. Can remember being in school plays and how much fun we had. Glad to hear your son is on the mend. Hope it turns warmer and that you don’t have to use all the wood. Violets! I love violets! But, ugh! You reminded me that I need to wash my filthy windows. Oh, well! We have to take the bad with the good, right?! Beautiful pictures and great post! You gave me the idea to make home made pizza! Thanks! Don’t worry about the windows, I am pretty sure that all windows are grubby at this time of year the weather is so nasty. A lovely group of five and too much to comment on individually, but I wanted to say that I hope that all has gone really well for you daughter in the play! Hope she enjoyed it a great deal!! There are more important things than clean windows, Sam, and more interesting things to do than cleaning them 😉 These signs of spring, however miniscule, are so exciting, aren’t they? As you so often do, Sam, you have put a great big smile on my face! Thank you for the kind mention. The rain is bouncing off the ground here and mud is rebounding on to the windows so there doesn’t seem much point in cleaning them. Any excuse will do. My borage has gone underground but I have faith that it will re-appear. It’s such a reliable; I am quite fond of it! 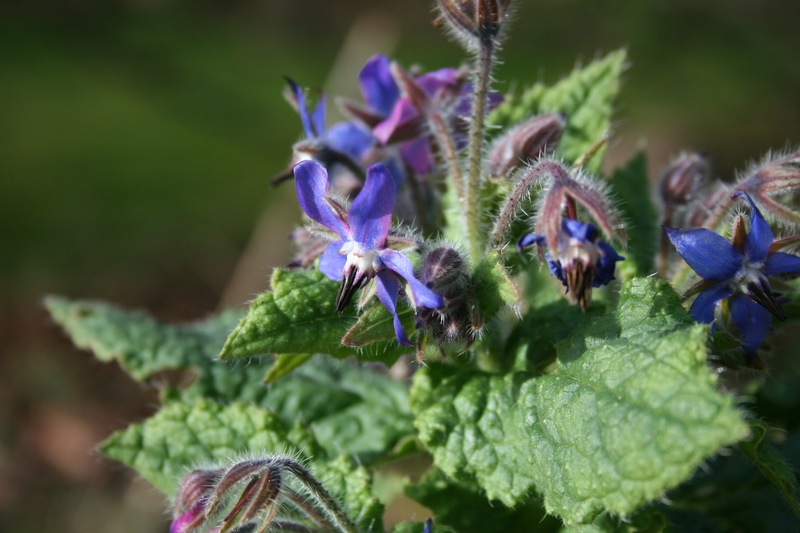 Good grief – borage in February???!? What is the world coming to? 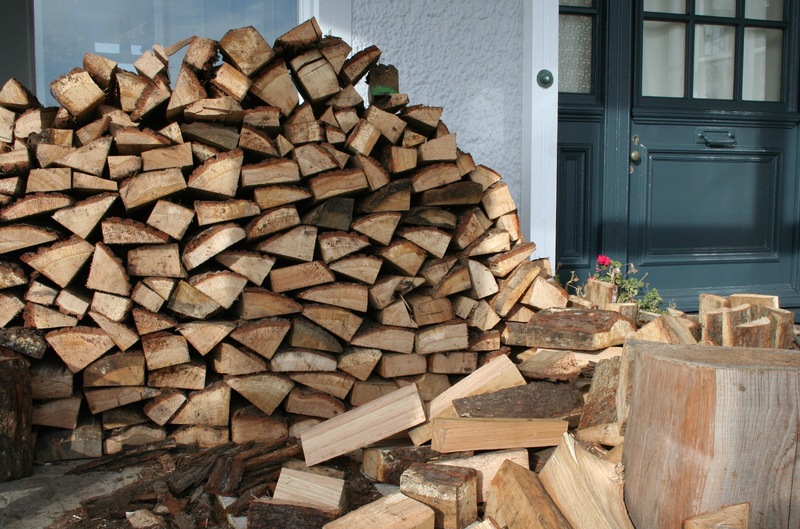 Love your photos though, and I’m always a sucker for a good wood pile. Heard ‘Great Lives’ podcast (R4 of course) recently about Lionel Bart – an extraordinary life if ever there was one.